You may have noticed I haven't posted in a while.. so what's been happening? Well, I've been mega busy at work for a start. Going to the gym 3-4 times a week, and trying to fit in a social life too! I've been going to lots of cool events! 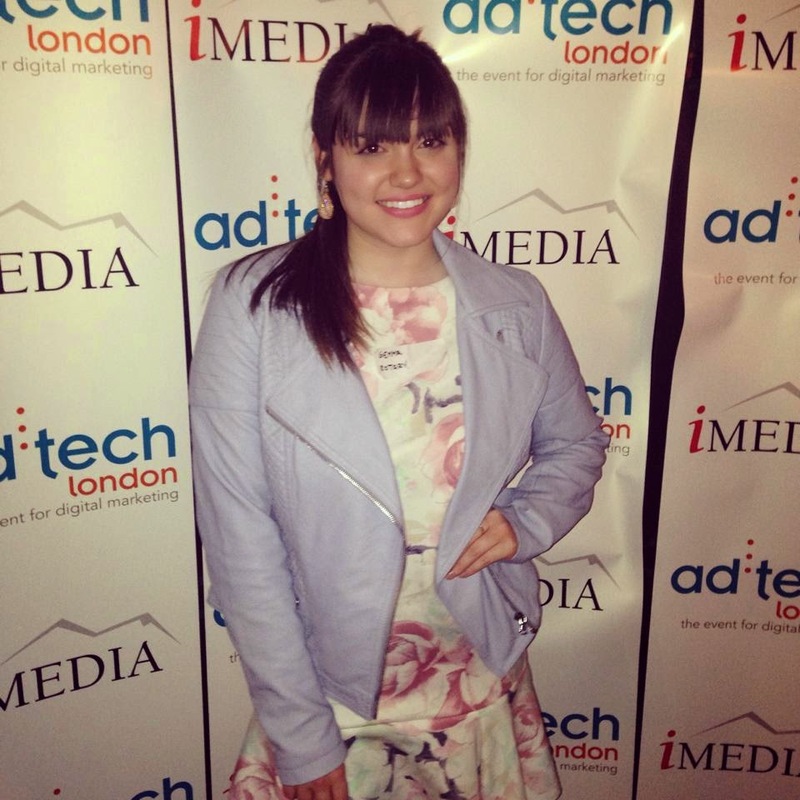 On the left is an image from where I attended a free drinks and meal evening in association with iMedia and Adtech London. It was a fun evening, met lots of great people and of course, took down plenty of free wine and delicious food. You may have heard of the new programme Virtually Famous on E4.. well, I was invited to watch in the audience! Such a cool experience.. I was sat in the second row, about 5 feet away from the likes of Helen Flanagan, David Haye and Sean Walsh! The programme aired a couple of nights ago.. unfortunately there was no close up of me on TV but hey, can't have it all!! A few weeks ago I visited the Aqua bar in Soho. Everyone had been talking about the balcony view there so I thought it was time to go! And they were right.. out on the beautiful (but busy) balcony was a gorgeous night view of London (see below). I love visiting new places.. I still want to see St. Paul's cathedral and go out along Southbank! 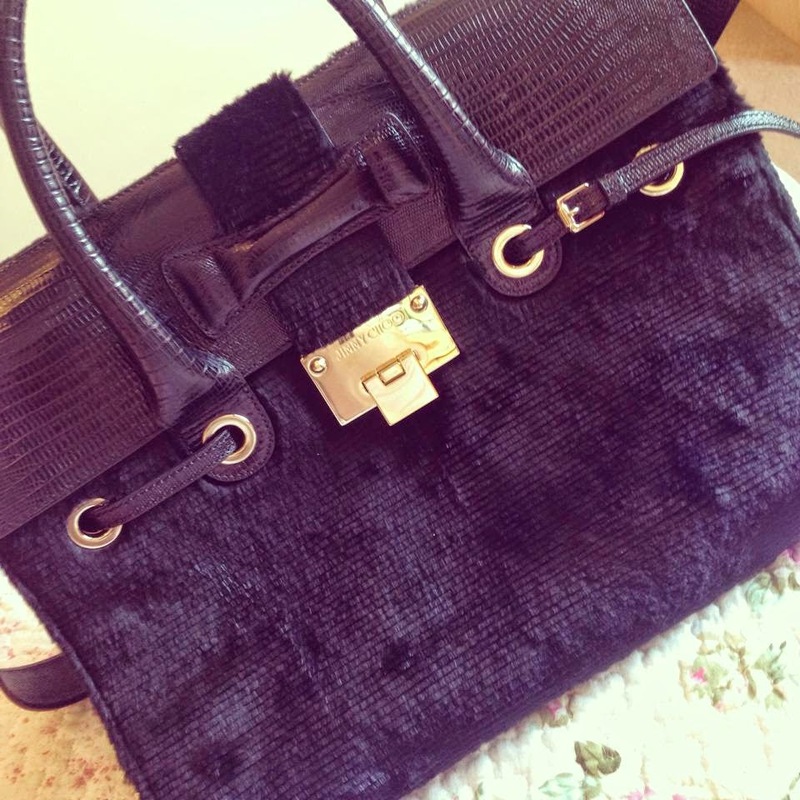 I was also lucky enough to go to the Jimmy Choo sample sale, where I fell in love and got a mega bargain bag!!! I won't put a price on it but I honestly couldn't believe my luck. It's so gorgeous and I've been wearing it every day! I have to say though, Jimmy Choo shoes are just not walkable. Literally. I've also been taking lots of inspiration from social media, blogs and even the information board in my local station! 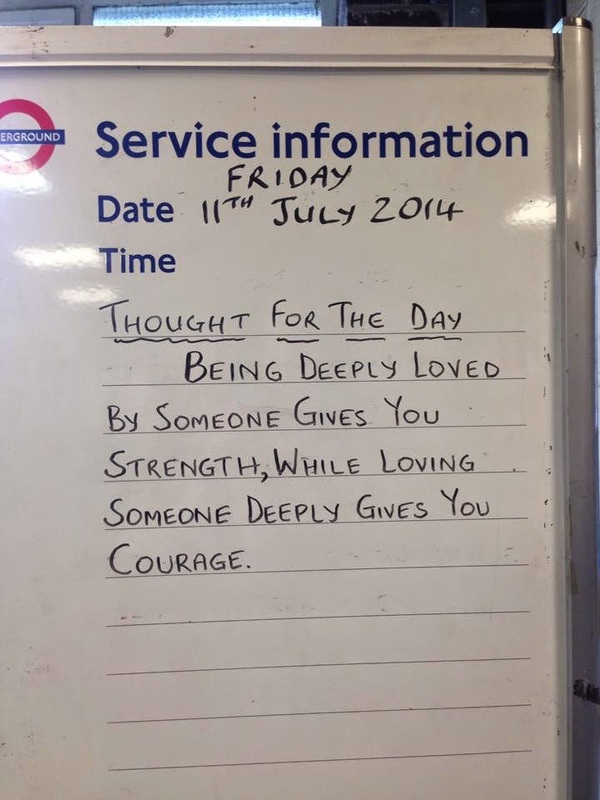 Every day they write up a new 'thought of the day', and it's what I look forward to most during my commute to work! One example below!